Gets the job done. Changing band colors is a bonus. Be careful not to screw it in too hard, or it can ruin a hole. The rubber ends on the corners is a bit flimsy after unscrewing and re-screwing. I liked these fans. They have range. most of the time they whisper, when they run at 100% it is VERY loud. 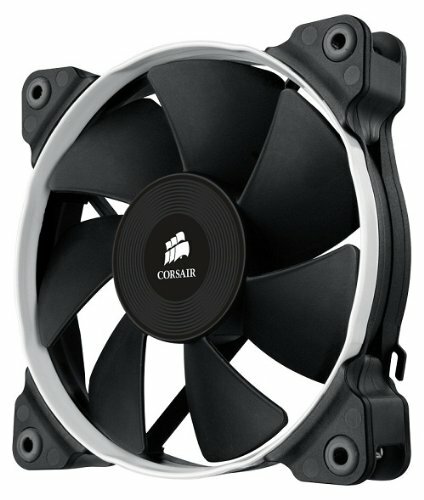 I was always skeptical of the corsair fans cause of the high price, but my god, these are totally worth the price. 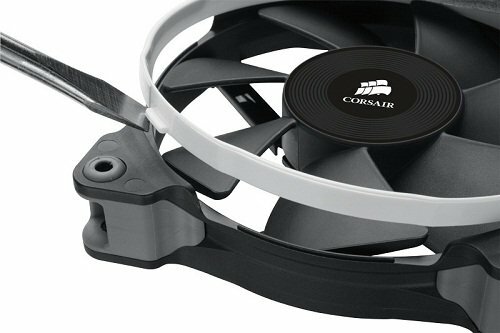 Installed 4 of these in my case and running off the NZXT Sentry 3 Fan Controller set at 1650-1750RPM and my god, these are silent as. The air flow has increased in my case and the graphics card temps have dropped a fair few C while bench-marking. Would totally recommend these fans. Pretty decent (if pricey) fans. Very loud at their full ~2350 RPM - I highly recommend running them at half-speed. 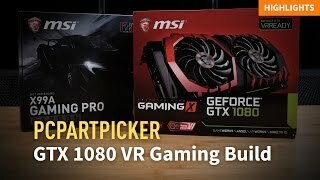 Use these to replace the H100i fans. Makes the noise go away and stay cool. Move a lot of air with high pressure, but loud as ****! Only use these for radiators! Use the Corsair AF120's for case mounting. 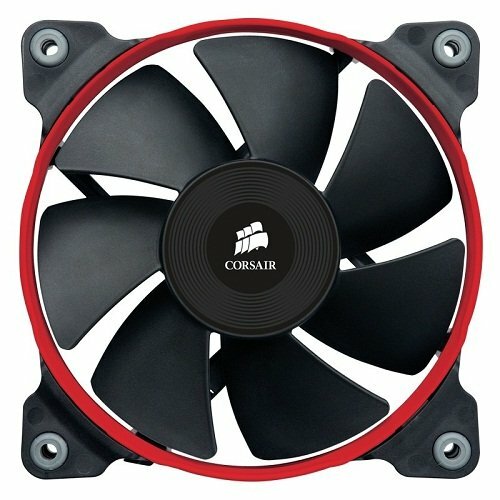 RANT WARNING, these fans are good right? their made by corsair so they're good right? WELL yes and no. These things are a b***h to install, the rubber vibration stopper things (excuse my colloquial tone) make it difficult not to strip every screw I own. They bend and twist making installing these fans very annoying and I even had to get my dad to help me. However, they are really good at doing what they do. The airflow in my system is great, keeping my PC nice and cool when idle and under load!